People who are intimately familiar with the dangers of Los Angeles DUI (or DUI anywhere) can still make horrendous mistakes – mistakes which can kill people and traumatize whole communities. Some people make bad mistakes, which, miraculously, do not lead to serious harm. 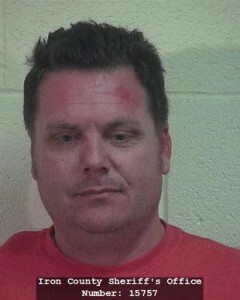 Fortunately for Utah Sheriff Lieutenant, Jake Adams, his recent DUI crash falls into the latter category. Todd Royce, a sergeant for the Utah Highway Patrol, reported on how the accident occurred: “Adams drifted off the right shoulder and then overcorrected back to the left. The truck left the roadway and went down a dirt embankment in a sideways slide.” The pickup then flipped onto its hood. Adams suffered a slight injury to his head (a red gash on his forehead), but the children (aged 8 to 14) remarkably made it through the incident without injury. Police arrested the lieutenant for DUI as well as for making an unsafe lane change and carrying a gun while under the influence. As Lieutenant Adams probably knows, the immediate hours and days after a DUI charge can be the most pivotal, from a legal point of view. Prosecutors often “jump the gun” and file DUI cases prematurely, prior to collecting enough evidence. An ex-prosecutor — with a thorough and detailed knowledge of how the government typically goes after DUI defendants — can advise you and make sure you follow best practices. Understand that a California law enforcement agency may not file a DUI charge immediately. Just because you haven’t yet been charged doesn’t mean you’re in the clear. Police may just be doing a thorough investigation to amass as much evidence as possible before charging you. No matter where you are in your “post Los Angeles DUI journey,” it can behoove you tremendously to connect with an experienced former prosecutor at the Kraut Law Group today to go over your defense options. Michael Kraut is a Harvard Law School educated attorney who’s racked up an impressive 99%-plus success record at jury trials. He maintains excellent relationships with his former prosecutorial colleagues as well as with judges and police officers in L.A. County.